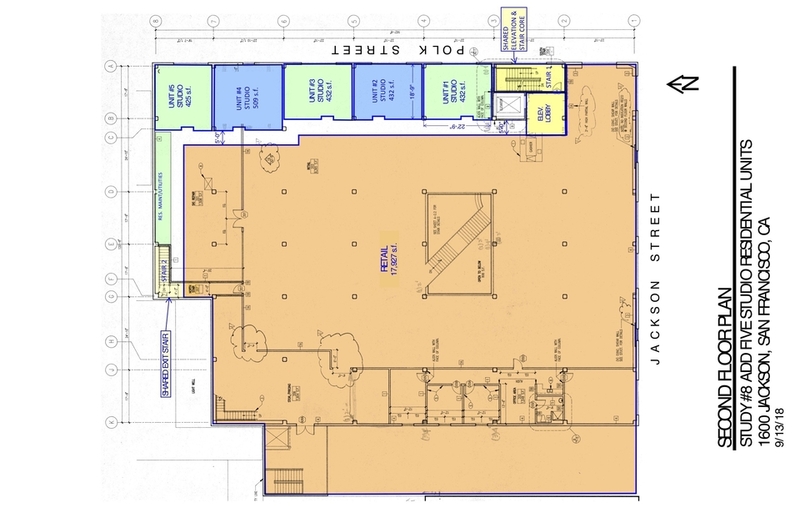 At this week's Planning Commission meeting, stakeholders will present a new plan for a proposed Whole Foods 365 store on the site of the former Lombardi Sports building at Jackson and Polk streets. This time, it will feature the addition of roughly five residential units on a portion of the second floor. Plans for the store have been in the works since 2014, long before the organic grocery giant was acquired by Amazon. In April, Whole Foods sought a conditional use authorization from Planning to operate in the space, because it meets the guidelines for formula retail (San Francisco's definition of a chain, with 11 or more locations worldwide). But its application was sent back for revisions, with commissioners asking that the company -- along with the building's owners -- go back to the drawing board and present a new proposal that included a housing component. "The overwhelming majority of residents are in favor of this project," said Commissioner Rich Hillis at the time. 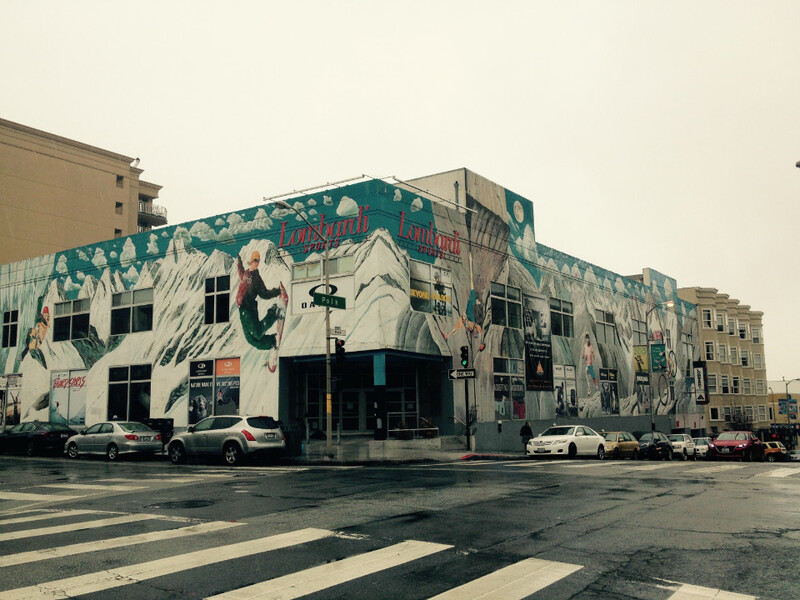 "If there were seven or eight stories of housing proposed above, we wouldn't be here. Unfortunately, that is not what is before us." Rob Isackson of Village Investment Partners, which owns the building, told Hoodline that Whole Foods was initially "frustrated" with the additional requirements imposed by the Planning Commission, "and was thinking of cancelling the lease." "We're talking about a 60,000-square-foot building that is in fine shape, and was renovated substantially about 20 years ago by the Lombardi family," Isackson said. "We don't have the ability to tear this down and build a Whole Foods with housing on top of it. And a lot of the neighborhood has told us that they don't want a new building there; they like the size of it and want a grocery store." Ultimately, Village and Whole Foods decided to hire a structural engineer and an architect to evaluate potential options that could appease Planning, as well as neighborhood organizations hoping for housing at the site. 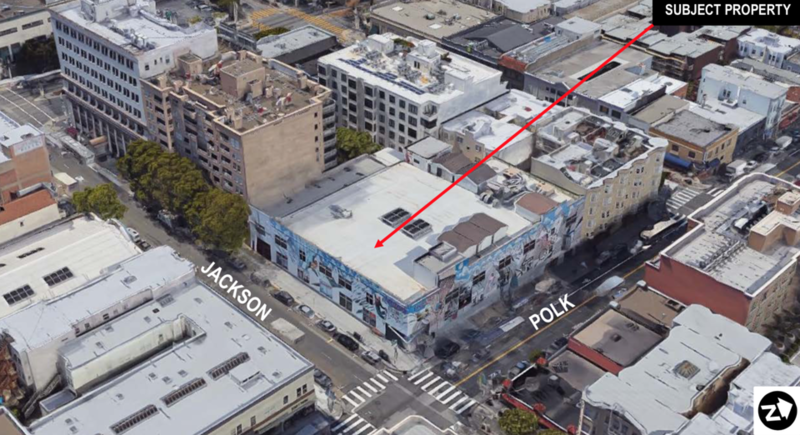 While plans to erect several additional floors of housing on the roof above the existing structure were initially floated, the move would have reportedly cost Village Investment Partners more than $4 million, according to the San Francisco Business Times. Instead, Whole Foods and Village have proposed creating roughly five units of housing on the second floor of the current structure, along the window line. The second-floor space will be shared with the grocery store. While Whole Foods itself hasn't yet approved of the new design, "locally, we have the support to go to the Planning Commission," said Isackson. "It's basically as a courtesy and a commitment to show that we are incorporating housing into the site." The reaction among neighborhood groups to adding housing to the Whole Foods has been mixed. Russian Hill Neighbors (RHN) supported the Whole Foods project even before the potential addition of housing. Earlier this year, RHN president Carol Ann Rogers told Hoodline that while her organization understands the demand for more housing, it believes that community-serving businesses like a full-sized grocery store are required as well. But other local organizations are not thrilled by Village's five-unit proposal, arguing that more housing is necessary. "I'm disappointed that it's such a small number of units proposed," said Middle Polk Neighborhood Association (MPNA) chair Chris Gembinski. "We were hoping for a lot more housing. I don't think it's that great of a proposal." "We are including housing solely as a gesture of goodwill, and support of the Planning Commission's desire to put in housing wherever possible," Isackson told us, noting that it will be "at a detriment to the economics to the project." "To say that housing is not cost-effective, I don't necessarily buy that," he said. "The location is so transit-friendly and so walkable. It doesn't make sense to not have an abundance of housing there." "At the end of the day, I can understand that people want residential," Isackson said. "But the immediate neighbors are still in favor of the project. They realize there are vacant stores up and down Polk Street. Everyone wants a Whole Foods." The proposal for the Whole Foods will be heard during the Planning Commission meeting this Thursday, October 4 at 1 p.m. in City Hall, Room 400. It's item F-18 on the docket. Neighbors wishing to provide comments for or against the proposal can submit them to Nicholas Foster at (415) 575-9167 or nicholas.foster@sfgov.org.